Hello, hello! Remember me? I'm still here... lots to catch up on! 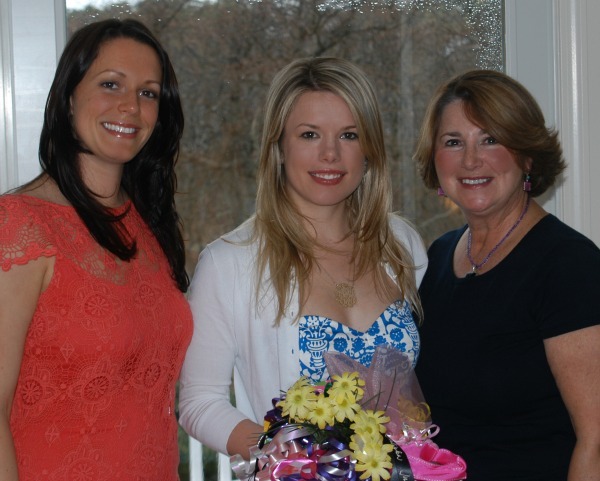 Last month my future mother-in-law hosted my bridal shower at her lovely home on the Cape with help from my maid of honor Sara and bridesmaid Kate. It was a special day among family and friends. I feel very blessed! Sadly Sara was sick and couldn't make the trip. I know all the hard work she put into the shower along with Ted's mom and Kate and was so sad she couldn't be there. I can't thank them enough. The girls put together this amazing mimosa bar. The Santa Cruz Organic juice and Cupcake Prosecco was delicious! My mom gave me these Waterford Happy Celebrations Toasting Flutes. I can't wait to use them! My Juliska collection is growing! One of the stunning pieces Ted's mom gave me. 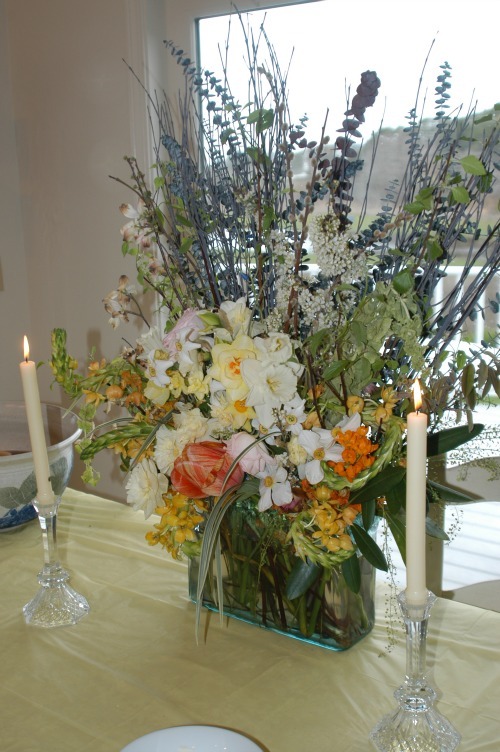 The centerpiece was from Donaroma's in Edgartown. 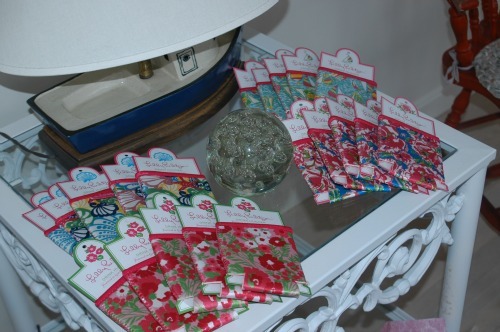 Sara and Kate chose Lilly Pulitzer koozies as favors and of course they were a hit. Dress: Milly. Sweater: J. Crew. Necklace: Max and Chloe. Love the toasting flutes! They are similar to the flutes we toasted with at our wedding. Your dress is adorable and love the Lilly koozies as well! What a great shower! I love all the little details. love your dress! 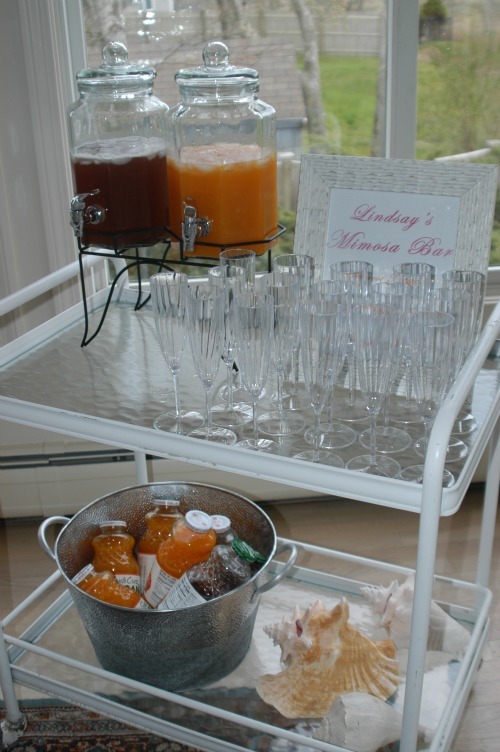 and the mimosa bar! Looks like a wonderful time! Because anything with a mimosa bar is bound to be a wonderful time...!